A rare combination of pristine acreage, privacy and value with magnificent ocean views in Lahaina! Built in 2014, this one-of-a-kind cottage property sits on 43 pristine acres in the Makila Ridge section of Launiupoko. Bask in unparalleled privacy at 900' elevation while taking in the spectacular sunsets and outer-island views from the lanai or plunge pool. The custom cottage features an open kitchen and living area, custom built-ins, stainless steel appliances, travertine floors, quality construction throughout, and delivers massive unobstructed ocean views from every room. The barn building provides owners with many options for its use. Trails for hiking and ATV riding have been established for the ownerÃ¢Â€Â™s private enjoyment on the 40+ fenced-in acres behind the home. In addition, there is a water tower and a covered shelter in place for livestock, as well as a shooting range. Located just a five-minute drive from the surf breaks at MauiÃ¢Â€Â™s Launiupoko Beach Park, this property is the perfect combination of luxury cottage living and pride in vast land ownership. 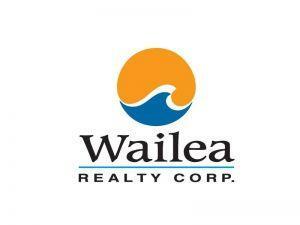 I am interested in 390 Punakea Loop, Lahaina, HI 96761 (Listing ID # 381709).